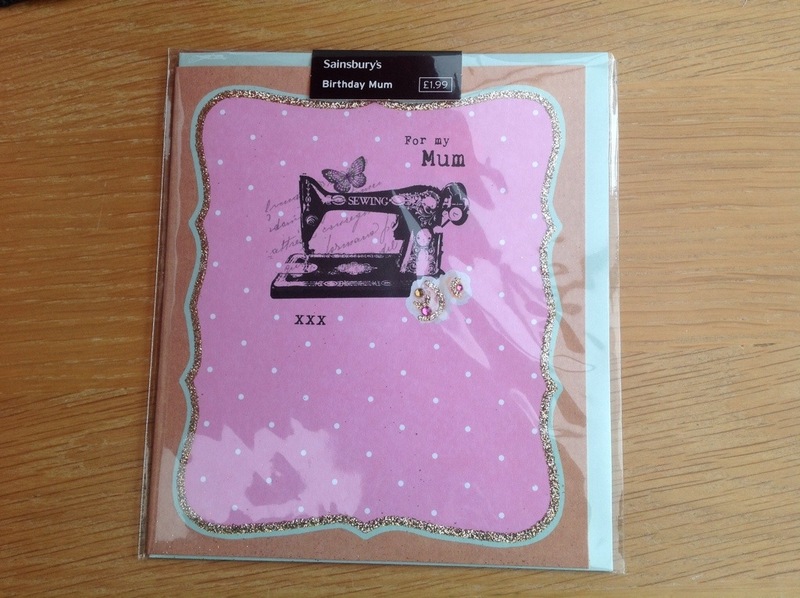 … But it’s not for me, it’s a birthday present for my Mum. She suggested I give her my machine and she’d get me a new one as I’d been thinking about getting a new one. Nice as that offer was, I decided to club together with my brother and my Dad and get her the same model I have – albeit a much newer version. The dilemma I’m in with my machine is that it’s a bit like repairing an old car and then not being able to justify buying a new one. I’m ashamed to say that my grandmother bought it for me in 2006. But I didn’t actually use it til I was making the orders of service for our wedding in 2011! 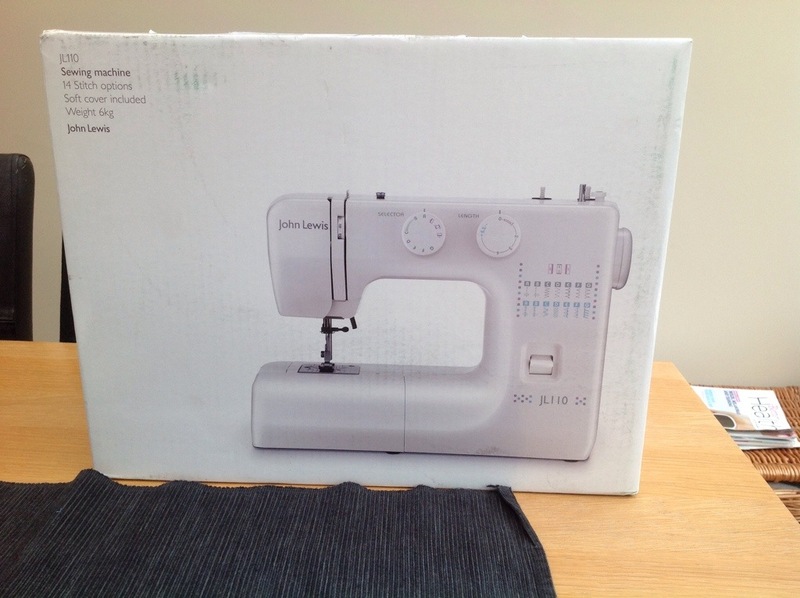 Then when I started quilting last year, I bought some bits for the machine to adapt it for quilting purposes. So now I feel I can’t really buy a new one. I don’t think I use it enough at the moment anyway. 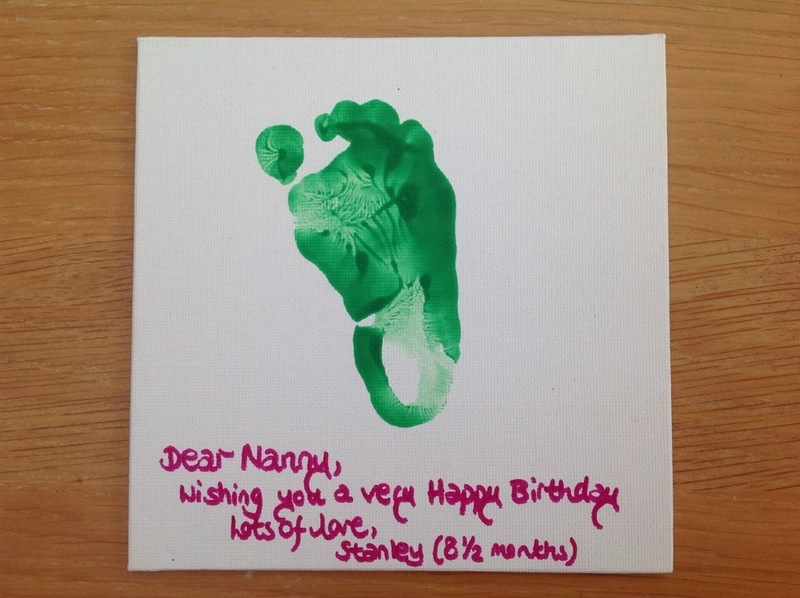 And here’s a little something her first grandson made her, with a little help from me.